Today marks 100 years since the birth of Nelson Mandela, and around the world people are reflecting on his legacy. On this centenary, PRI reflects on one of his more recent legacies – the revised UN Standard Minimum Rules for the Treatment of Prisoners, adopted in 2015 as the Nelson Mandela Rules. The Mandela Rules detail the minimum standards that should be in place for the treatment of people detained wherever they are held. They give guidance on what should be provided, from healthcare and contact with family and friends to measures that ensure both prisoners and staff are safe from violence. Although the Rules were agreed upon by 193 countries and are thus universally accepted, many prison systems lack resources (owing to political priorities), leading to even the most basic needs of prisoners, like access to food and water, not being met. Data suggests that the number of prisoners exceeds official prison capacity in at least 120 countries and in such overcrowded facilities, it is enormously challenging, if not impossible, to meet the minimum standards for prisoners. Among penal reformers there has been an impression that the adoption of the Mandela Rules has led to a spotlight being shone on prison conditions. They have certainly led to new guidance and a push for reform from international organisations, including PRI, the International Committee for the Red Cross and the UN Office on Drugs and Crime (UNODC). For instance, next month PRI and the OSCE’s Office for Democratic Institutions and Human Rights will publish a comprehensive Guidance Document on the revised rules, and UNODC are working on an online course. The real value of the Mandela Rules is that they are a combination of standards relating to the treatment of prisoners – bringing together laws and guidance from torture prevention to medical ethics. For PRI, they are invaluable for promoting effective and humane prisons. We have been busy promoting them not only through issuing guidance on how to implement the Rules, but also through assistance to governments and criminal justice stakeholders. PRI has initiated and assisted in the updating of prison guidelines and protocols to bring them in line with the Mandela Rules. In Yemen, Guidelines on Health Services in prison (adopted by the country’s Corrections and Rehabilitation Department) have now been updated by PRI’s Middle East and North Africa office to reflect the Mandela Rules and the UN Bangkok Rules on women prisoners. An updated Prison Code in Morocco, which incorporates the Mandela Rules, is currently being debated by the country’s Parliament – another positive development supported by PRI. In Central Asia, a new training manual for prison staff has been used to build the capacity of staff across several prisons in Kazakhstan on the Rules. Also, the rules that require legal aid to be offered to people in prison have been brought to life through their provision to 200 people in six regions of the country. When the Mandela Rules were adopted, it was decided that 18 July should not only be used to promote humane conditions of imprisonment, but to value ‘the work of prison staff as a social service of particular importance’. Every year in our annual Global Prison Trends series, we report the challenges that prison staff face in their everyday work, including inadequate levels of resources leading to insecurity and violence, low pay, and poor living conditions. A lack of training also puts staff at risk, particularly when supervising prisoners with specific needs, like those with a mental health condition. For this group, PRI recently published Mental health in prison: A short guide for prison staff, which outlines what prison staff can do to protect the mental wellbeing of prisoners in their everyday work. ‘Reducing prison populations as a priority…needs to go hand-in-hand with improving prison conditions globally’. Nelson Mandela went to prison in 1962 and was released in 1990 after 27 years. Not long after, in 1994, the first estimate of the global prison population was compiled by Roy Walmsley – it was estimated to be over eight million people. Twenty-four years later, it is now estimated to be more than 10.35 million – and may well be in excess of 11 million, representing a growth faster than the world population rate. This figure is made up of people who are not necessarily a danger to society, with many convicted for poverty-related offences and, most recently, low-level drug offences, or held in pre-trial detention. So, on this Mandela Day, we reflect on how this affects full implementation of the Mandela Rules; it is obvious that one of the most significant barriers is this rise in the number of people in prison. This makes the implementation of the Mandela Rules that much harder. Reducing prison populations as a priority, through the implementation of the UN Tokyo Rules and the UN Bangkok Rules, needs to go hand-in-hand with improving prison conditions globally. It will only be then that we can say that the Mandela Rules have been brought to life, and are not simply an aspiration. 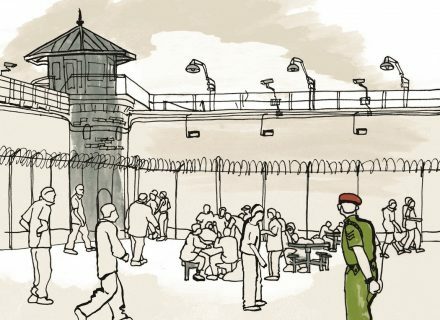 PRI’s work on the Mandela Rules includes a Short Guide to the Rules – available in 10 languages – and a two-minute animation, which explains what the Rules are, what they include, and what they mean for prison management.